March 5, 2009 by Ken Ward Jr. 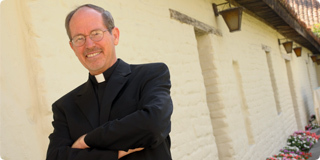 The Society of Jesus — the Jesuits –is the largest male religious order in the Catholic Church, and at colleges and universities around the world,Â they teach students with a focus on service, specifically to the poor, sick and others in need. Here in West Virginia, the folks at Wheeling Jesuit University have focused on things like improving mine safety and helping coalfield residents get a fair shake when dealing with the coal industry and the government agencies that regulate it. Last week, there was an interesting coal-related development out of Santa Clara University, a Jesuit school located in California’s Silicon Valley. Apparently, some students there heard about and saw the effects of mountaintop removal. 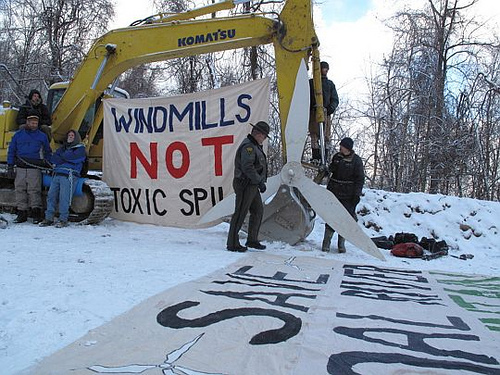 They didn’t like it, and successfully urged the university to divest itself of some Massey Energy Co. stock. Environmental activists fighting mountaintop removal aren’t the only ones with a little bit of star power on their side. 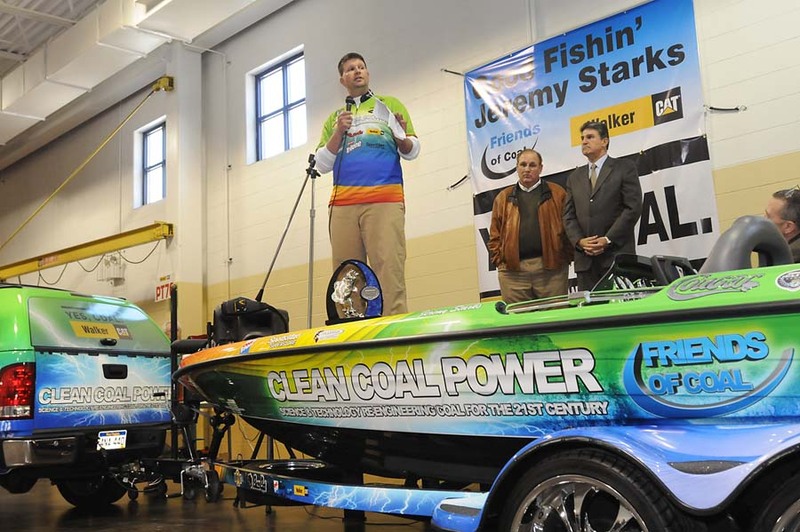 He might be popular with a different audience than Ashley Judd, butÂ Bassmaster Elite Series champion Jeremy Starks is doing what he can to promote West Virginia’s coal industry. This development comes after Judd’s appearance last month at an anti-mountaintop removal rally at the Kentucky state capitol. 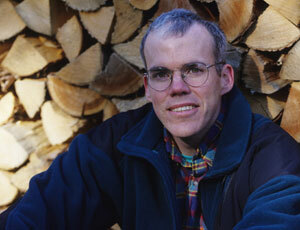 See Judd joins fight against mountaintop removal. 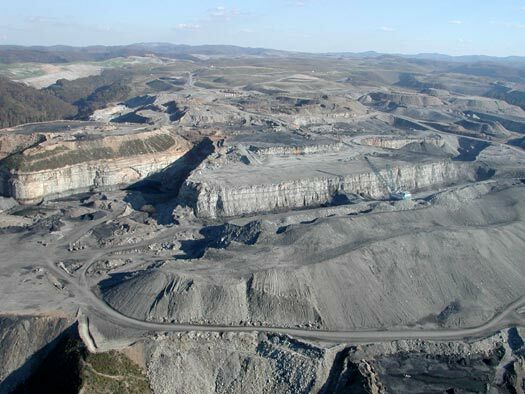 The Clean Water Protection Act — legislation aimed at ending mountaintop removal coal mining — has been reintroduced, with a record number of sponsors. The bill,Â HR 1310, would amend the Clean Water Act and reinstate a prohibition that prevents mining companeis and other industries from dumping mass amounts of solid industrial wastes (in the case of mountaintop removal, rock and dirt) into streams. More specifically, the bill would overturn a Bush administration rulemaking that changed the definition of “fill” to legalize mountaintop removal valley fills. See previous Gazette coverage of this rule change here, here and here. Last week, I wrote about a bill in the Kentucky General Assembly aimed at eliminating a new requirement that all working coal mines have at least two trained medical technicians on duty at all times. Coal Tattoo has a special interest in following this legislation, as the requirement for two “METs” was put in place after the needless death of David “Bud” Morris, the coal miners whose photo graces this blog’s masthead. 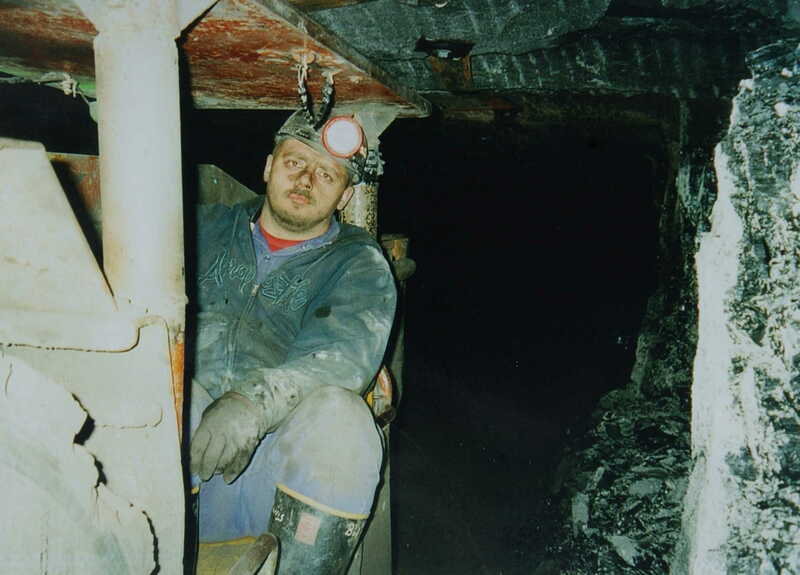 Bud’s death was part of my 2006 series on coal mine safety in America. His was one of the more heartbreaking deaths I wrote about. He died because he bled to death from not receiving adequate medical attention. As I wrote last week, the bill to eliminate the two MET requirement Kentucky lawmaker Keith Hall, who just happens to also be Pike County coal operator. Now, imagine my surprise to read the story in Tuesday’s Lexington Herald-Leader by John Cheves (author of a great collection of stories on U.S. Sen. Mitch McConnell, R-Ky.). It turns out that one of Hall’s mines was shut down by Kentucky inspectors last year for violating the two MET requirement. No. Seriously. 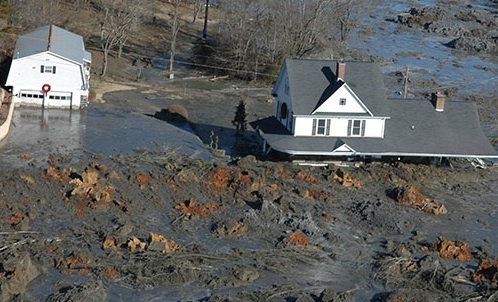 March 3, 2009 by Ken Ward Jr.
More than 100 leading national and grassroots environmental groups today urged Obama EPA Administrator Lisa Jackson to regulate coal ash. 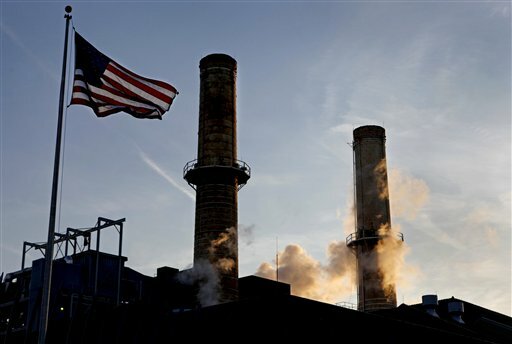 The groups said action is urgently needed, especially given the December disaster at the TVA Kingston Plant in East Tennessee (See AP photo above). 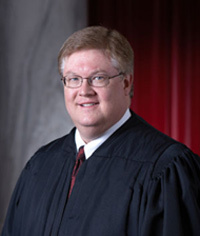 As the controversy grew for months over West Virginia Supreme Court Chief Justice Brent Benjamin not recusing himself from a major Massey Energy case before the court, Benjamin has been pretty quiet about the whole thing. Citing judicial ethics rules, Benjamin has consistently declined to comment. But the court’s PR staff certainly hasn’t. 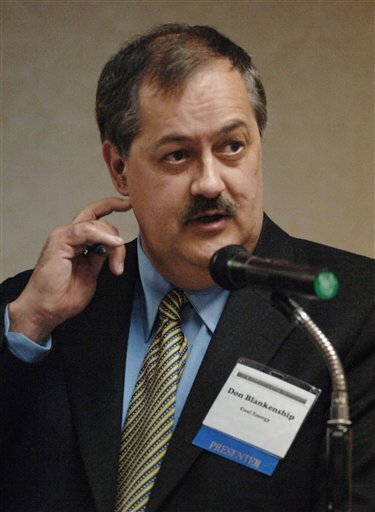 They’ve sent out letters to the editor defending Benjamin and urged reporters to quote liberally from the opinion in which the chief justice took 40 pages to explain why he didn’t have a conflict of interest hearing a case involving Don Blankenship’s company. Then Monday, on the eve of the big U.S. Supreme Court oral argument in the case, the Supreme Court’s PR staff sent out a press release they said summarized Benjamain’s “dispositive voting record” in cases involving Massey or its subsidiaries. 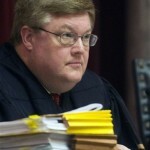 Overall, Chief Justice Benjamin voted against the interests of Massey Energy or its subsidiary 81.6% of the time. Most of these votes occurred before the Caperton v. Massey Energy case was decided, and involve votes in cases which were decided by unanimous and non-unanimous votes of the Court. 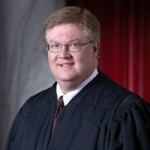 (Of course, in the rehearing of the Caperton case, Chief Justice Benjamin appointed two of the acting Justices after the recusal of Justices Maynard and Starcher and those two circuit judges split their decision, one voting for Massey and one voting against Massey.) 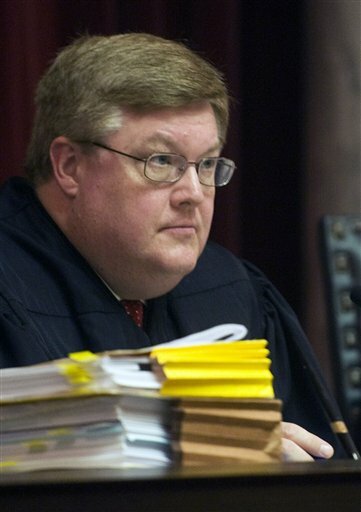 According to information which was in the file or which was referenced in local news reports, all votes by Chief Justice Benjamin represented votes against the financial interests of Massey Energy of approximately $317 million. Yeah, yeah … everybody was making with the jokes (or worse) yesterday. 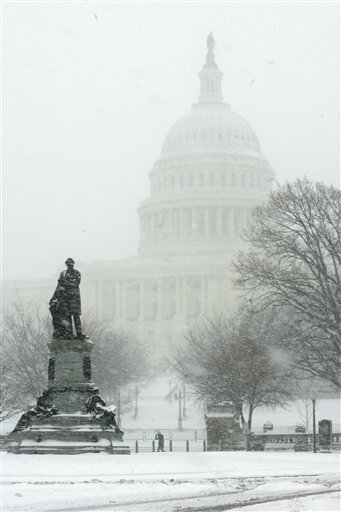 Mother Nature had the last laugh, dumping a bunch of snow and some freezing temperatures on activists from around the country who journeyed to Washington, D.C., to protest lack of action on — of all things — global warming. 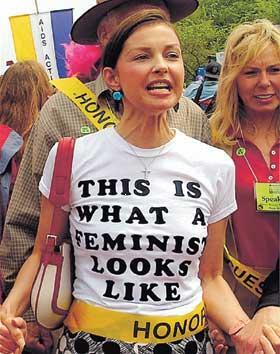 (Lots more about the protest here). Whether it will really have an impact remains to be seen of course, as it seems the snowplows may need to collect them rather than the paddy wagons. I like a good joke as much as the next guy. But there’s a real danger that this kinda of humor gets perpetuates the lingering myth that global warming and climate change aren’t really something to be that worried about. This climate change science stuff can get pretty complicated. Folks in the media haven’t done a great job explaining it, and it’s very easy to get confused — or to just get it wrong on purpose. A Center for Public Integrity analysis of Senate lobbying disclosure forms shows that more than 770 companies and interest groups hired an estimated 2,340 lobbyists to influence federal policy on climate change in the past year, as the issue gathered momentum and came to a vote on Capitol Hill. Thatâ€™s an increase of more than 300 percent in the number of lobbyists on climate change in just five years, and means that Washington can now boast more than four climate lobbyists for every member of Congress. It also means that 15 percent of all Washington lobbyists spent at least some of their time on global warming in 2008, based on a tally of the total number of influence-peddlers on Capitol Hill by the Center for Responsive Politics. Based on the data, the Center estimates that lobbying expenditures on climate change last year topped $90 million. About 130 businesses and interest groups spent more than $23.5 million on lobbying teams solely focused on climate, but that vastly understates the money devoted to the effort. More than 95 percent of climate lobbyists work on other issues such as tax and health care for their clients as well, and they donâ€™t have to report how much theyâ€™re being paid on global warming specifically. But even if just 10 percent of their time last year was spent on climate, that would add nearly $70 million to the grand total spent lobbying on climate in 2008 and push expenditures past $90 million. 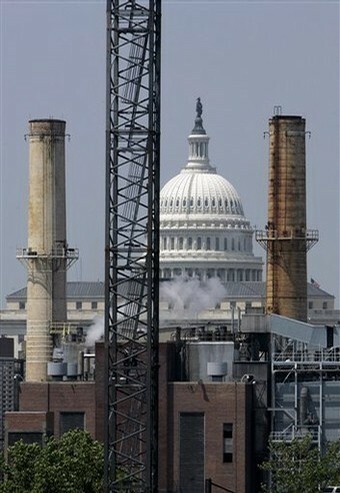 We’ve mentioned several times that there’s a big protest today in Washington, D.C., about climate change and the coal-fired Capitol Power Plant (pictured above). (See previous posts here, here and here). On a day when snow has turned the roads slippery and police have other things to worry about â€” like public safety! â€” trying to get yourself arrested for the cameras is just self-indulgent disregard for your fellow humans. On March 2, 1961, an explosion killed 22 coal miners at Peabody’s Viking Mine near Terra Haute, Indiana. I don’t have much information on this particular mining disaster, except for a note on the United Mine Workers of America’s calendar, and reference in an old Bureau of Mines Circular (helpfully collected into a great binder by the folks at the MSHA Library). If you know anything about it, please comment below and share your information with readers, or drop me a private email to kward@wvgazette.com. As anti-coal activists from around the country travel to Washington, D.C., for a mass rally, a judge in West Virginia has ordered environmentalists here to stop their peaceful protests against Massey Energy’s mountaintop removal operations. On Friday, Raleigh County Circuit Judge John A. Hutchison issued a temporary restraining order requested that same day by lawyers for Massey Energy subsidiaries Alex Energy, Independence Coal and Marfork Coal. I’ve gotten additional information since my earlier post on this issue. 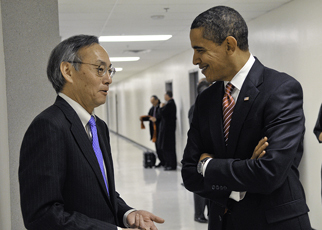 But over at Climate Progress, physicist-turned-blogger Joseph Romm had an interesting item the other day the shows why Chu is considered by many folks to be an incredibly refreshing pick to run DOE. 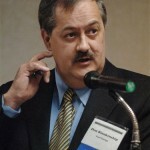 There’s been plenty said and written about whether West Virginia Supreme Court Chief Justice Brent Benjamin has a conflict of interest because of the millions of dollars Massey Energy CEO Don Blankenship spent helping him get elected in 2004. 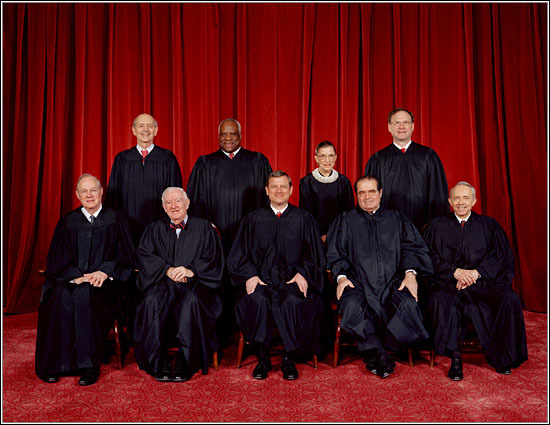 The whole thing comes to a head this week, when the U.S. Supreme Court hears oral arguments on Tuesday. The Gazette’s own Paul J. Nyden has covered the controversy extensively, and the issue has been the subject of recent stories in The New York Times and USA Today. More than one commentator has noted the similarities with John Grisham’s thriller, The Appeal. The American Bar Association Journal published a lengthy piece on the matter, and it has been covered in The Economist. The National Law Journal also has a new analysis of the case. February 28, 2009 by Ken Ward Jr. The mantra of the industry is that coal is America’s cheapest, most abundant fuel, and the most secure from foreign meddling. The problem with that argument is that the real cost of coal mining and burning is never toted up. 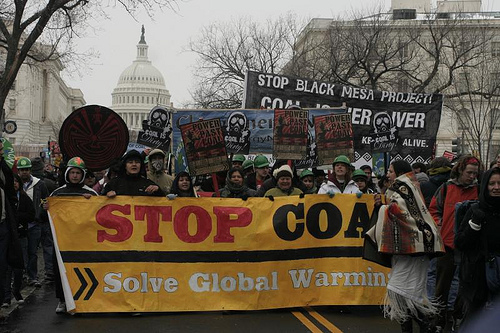 Citizens and activists from around the country are planning to descend on Washington Monday for what organizers hope is a huge protest against the burning of coal to fire an antiquated power plant that generates steam and chilled water to heat and cool the Capitol building. (The Capitol buys its electricity from Pepco). …A multi-generational act of civil disobedience at the Capitol Power Plant â€” a plant that powers Congress with dirty energy and symbolizes a past that cannot be our future. Letâ€™s use this as a rallying cry for a clean energy economy that will protect the health of our families, our climate, and our future. Itâ€™s time to take a stand on global warming. For more than 30 years, scientists, environmentalists, and Americans from all walks of life have urged leaders to take action to prevent a climate catastrophe. Yet even with the impacts of global warming mountingâ€“droughts and wildfires in the West and Southeast; hurricanes in the Gulf; record floods year after year in the Heartland; deadly heat waves in the Northeast; and the spiraling cost of it allâ€”our leaders have failed to take the action so urgently needed. Now we are running out of time. The Bush administration has left our world with precious little time to avert the most catastrophic impacts of the climate crisis.